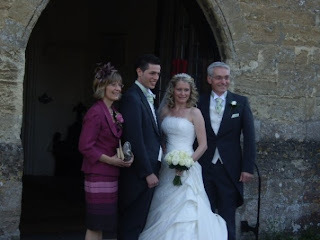 The new Mr & Mrs D'Alanno with mother and father of the bride Mr & Mrs Harvey. A good time was had by all, thanks. Oh and by the way, lovely outfit Judy, and Stephen you looked good too!